High-stakes tests are stressful for everyone (hence the name “high-stakes”), but for students with learning and other disabilities, getting approval for test accommodations that level the playing field has historically been its own stressor. Thanks to newly released ADA guidelines from the U.S. Department of Justice (DOJ) students that need test accommodations now have a clear and easy-to-access reference that outlines their rights and the testing entities’ responsibilities. "Any documentation if required by a testing entity in support of a request for testing accommodations must be reasonable and limited to the need for the requested testing accommodations. Requests for supporting documentation should be narrowly tailored to the information needed to determine the nature of the candidate’s disability and his or her need for the requested testing accommodation. Appropriate documentation will vary depending on the nature of the disability and the specific testing accommodation requested. An applicant’s statement of his or her history regarding testing accommodations." Depending on the particular testing accommodation request and the nature of the disability, however, a testing entity may only need one or two of the above documents to determine the nature of the candidate’s disability and his or her need for the requested testing accommodation. If so, a testing entity should generally limit its request for documentation to those one or two items and should evaluate the testing accommodation request based on those limited documents without requiring further documentation. "Testing entities should report accommodated scores in the same way they report scores generally. Testing entities must not decline to report scores for test-takers with disabilities receiving accommodations under the ADA. 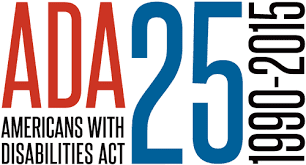 Flagging policies that impede individuals with disabilities from fairly competing for and pursuing educational and employment opportunities are prohibited by the ADA. “Flagging” is the policy of annotating test scores or otherwise reporting scores in a manner that indicates the exam was taken with a testing accommodation. Flagging announces to anyone receiving the exam scores that the test-taker has a disability and suggests that the scores are not valid or deserved. Flagging also discourages test-takers with disabilities from exercising their right to testing accommodations under the ADA for fear of discrimination. Flagging must not be used to circumvent the requirement that testing entities provide testing accommodations for persons with disabilities and ensure that the test results for persons with disabilities reflect their abilities, not their disabilities." Having read this I thought it was rather informative. I understand you finding the time and energy to put this content together.